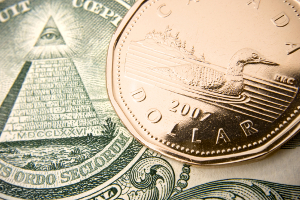 Finance Ideas 4u: Are Dollar Doldrums Around the Corner? Are Dollar Doldrums Around the Corner? Once again, online Forex investors may be in for a wild ride over the next two months. While a good deal of focus has been placed upon the European Union and the potential fiduciary impacts of the Brexit, the fact of the matter is that the United States dollar has taken a turn for the worse. What indicators have we seen change over the past month and more importantly, what can Forex enthusiasts expect for the remainder of the year? Consumer confidence figures have always been a relatively important benchmark in regards to the state of the domestic economy as a whole. Recent statistics have shown that the Consumer Confidence Index (CCI) for October missed predicted expectations of 101.5; falling to a rather gloomy 98.6 points. However, this is not a surprise in many Forex circles. Hints of a contraction were seen when the Michigan Consumer Sentiment Index fell from 91.2 (September) to 87.9 (October). We should mention here that this has been the weakest reading since September 2015 (1). There is no doubt that these indicators will have a negative impact upon the value of the dollar within international trading circles. However, analysts have also noted mixed reactions from many consumers. While their confidence seems to remain high in the present, some feel that they are much more wary in regards to the future economic outlook of the United States. It can only be assumed that such a stance may be associated with the upcoming presidential election taking place on 8 November (2). One of the most disturbing observations which is likely to weigh heavily upon investors is the fact that neither electoral candidate has put forth any type of solid plan for dealing with the domestic economy. It was hoped that this would have been given more priority during the final debate and yet, acrimony ruled the floor. One a somewhat positive note, Hillary Clinton appears to be leading in the polls and many analysts believe that she is a viable alternative to what can only be called a lack of clarity on the part of Trump whenever economics are mentioned. To put this another way, Clinton may indeed be the lesser of two evils in reference to bolstering the domestic situation. Unfortunately, voters seem to be less than satisfied with either option. This has likely resulted in the aforementioned drop in consumer confidence levels. Why is consumer sentiment so important when compared to the medium-term value of the dollar? Forex investors need to appreciate that this reading represents much more than mere emotional confidence. We should mention that consumer spending has equated to no less than 70 per cent of the gross domestic product (GDP) of the United States in 2016 (2). So, it is clear that any faltering outlook could have a decidedly drastic impact upon profit margins for both large and small companies. This fall has been highlighted by changes within both the Present Situation Index and the Expectations Index. If anything, a drop in the value of the dollar may be welcome news to those who have been watching the British pound slide to unprecedented levels. Any depreciation could result in a more favourable GBP/USD relationship; allowing investors to embrace a medium-term profit-taking strategy. It is also relatively certain that post-election economics will stabilise any short-term falls in the value of the dollar although the same might not be a realistic expectation in regards to consumer confidence; particularly if Trump takes the Oval Office. Once again, it appears as if Forex traders will be forced to adopt a watch-and-wait stance until more concrete data presents itself. The Consumer Confidence Index is notoriously fickle and this is even more of a reality before an election. Considering that this has been the most important and fickle presidential campaign in decades, it is only logical that the domestic economy of the United States is on shaky ground. The coming weeks and months will serve to solidify any directional movement to carry forward into 2017.